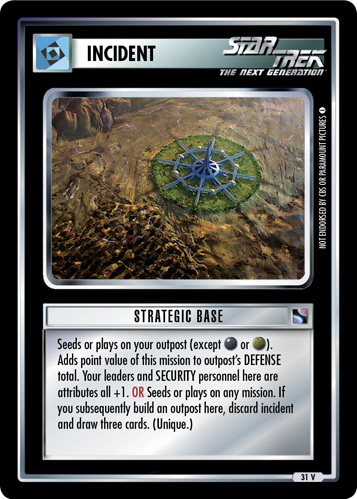 Seeds or plays on Veytan. 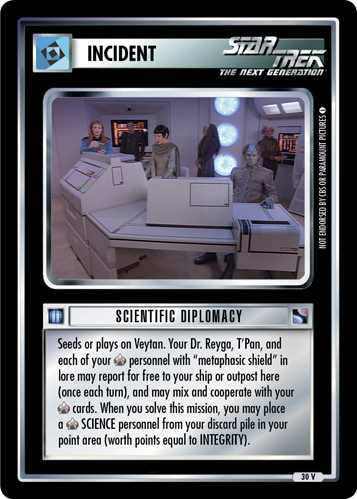 Your Dr. Reyga, T'Pan, and each of your personnel with "metaphasic shield" in lore may report for free to your ship or outpost here (once each turn), and may mix and cooperate with your cards. 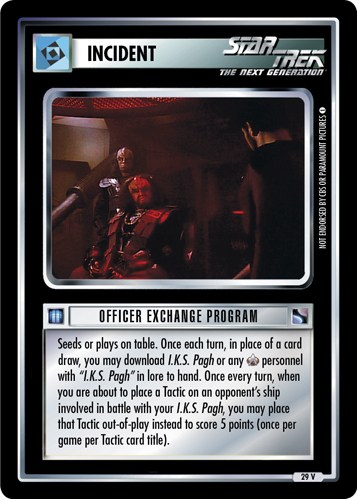 When you solve this mission, you may place a SCIENCE personnel from your discard pile in your point area (worth points equal to INTEGRITY).